Elder law in Nevada protects those ages of persons aged 62 and over. The chapters of the law that deal with this group are covered in NRS 427 (A), services to aging persons. These groups known as senior citizens are protected in a variety of ways. Nursing home abuse cases are some of the most heart wrenching cases, as victims are left helpless. Cases range from simple neglect to willful misconduct. Often the cases of Nursing home abuse are caused by employees who fail to handle the guests properly. Different patients need different care. The most common mistakes occur when patients are not cared for. This ranges in severity from dropping a person, to not rotating the disabled. Bedsores are very common and prime examples of bad care. The duties owed to patients and residents of Nursing homes is primarily governed by Federal statutes codified in the Federal Nursing Home Care Reform Act. Abuse of victims is often secret and unknown until a family member discovers the physical evidence of such abuse. The injury abuses are abundant: bed sores, medication/sedation, mental and verbal abuse, bed or pressure sores, infections, dehydration, malnutrition, fractures, dislocations, slip and fall accidents, medication errors, inappropriate physical or chemical restraint, unhygienic living conditions, negligent supervision, inadequate staffing or training, financial exploitation, and other forms of physical, emotional, mental, and neglectful abuse. This abuse is not only common in Nursing homes, but also rehabilitation facilities where helpless patients are left at the mercy of often underpaid staff. Nursing home abuse is on the rise and very common in Las Vegas, Nevada and in Clark County largely because of the large populations of retirement citizens at Sun City and other over 55 communities. In 1987, the Federal Nursing Home Care Reform Act was passed setting a set of minimum standards of care and quality of life that nursing home facilities must meet or exceed. The primary objective of this law is to ensure that facilities provide services that facilitate the highest practicable physical, mental, and psychosocial well-being for each resident. About 1,800 people living in U.S. nursing homes die each year from falls (Rubenstein et al. 1988). About 10% to 20% of nursing home falls cause serious injuries; 2% to 6% cause fractures (Rubenstein et al. 1988). Falls can make it hard for a person to get around, cause disability, and reduce quality of life. Fear of falling can cause further loss of function, depression, feelings of helplessness, and social isolation (Rubenstein et al. 1994). Id. AARP also has a large concern regarding the care of the elderly. 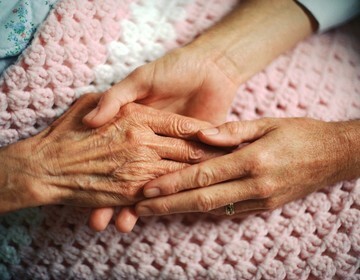 Benson & Bingham has litigated or settled nursing home negligence cases of all shapes and forms. If a loved one has been mistreated in a nursing home, assisted living home, or in a medical facility, contact Benson & Bingham today - We care about victims of elder abuse and will come to you if you are unable: 702-382-9797 or 1-800-381-3529.